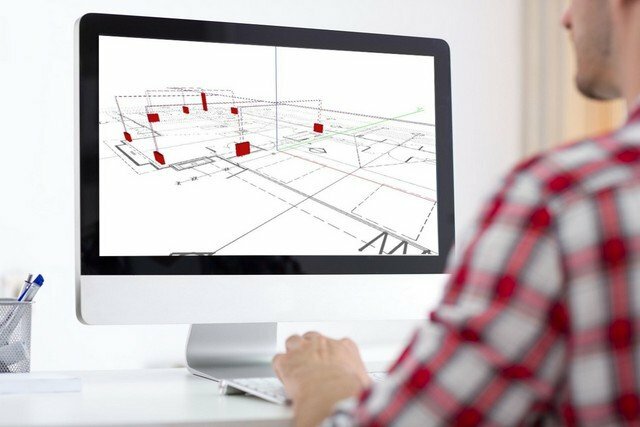 Selecting the best option for your project requires an understanding of the home’s unique needs: what the homeowner's expectations are, the fuel that's available, the size and occupancy of the home plus more. Our inhouse, dedicated expert team will provide impartial advice on the options available. Standard efficiency gas boilers can no longer be installed in Europe. In NZ they are still heavily promoted because of the perceived price advantage - but it’s a false economy. Energy efficient heat sources can reduce operating costs by up to 30% compared to standard efficiency heat sources. So, any increase in capital cost is very easily offset by reduced operating costs. With KE KELIT, you make the smart choice. 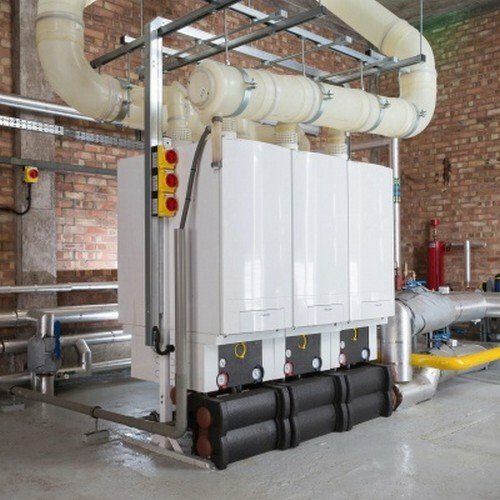 An energy efficient condensing boiler recycles hot gases by leading it past the cold heating water that comes back into the boiler. 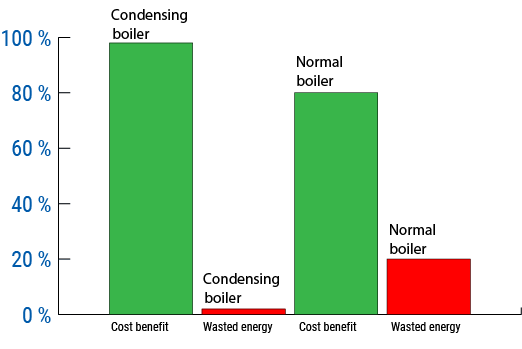 A normal standard efficiency boiler directly heats up the heating water. 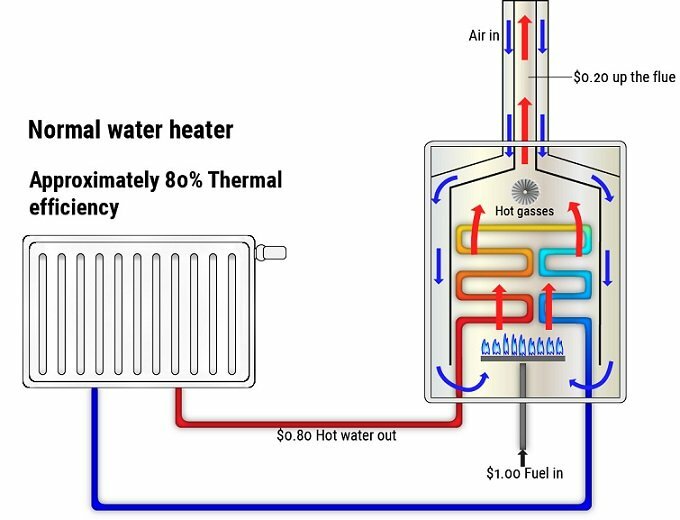 Precious energy in the form of hot gas is wasted (it goes right up the flue). The whisper quiet Grant condensing unit boiler is an ultra-high efficiency, floor-standing heat generator for domestic heating and hot water production. It can be placed indoors or outdoors and is available with a variety of output options to suit the size/scale of your home. The advanced condensing flue combustion technology scavenges energy found in the flue gas that would otherwise be lost to the atmosphere, boasting up to 97% in running efficiency. 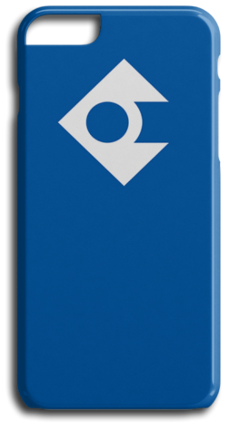 The combustion is controlled by a microprocessor and a digital interface with advanced temperature control functions. 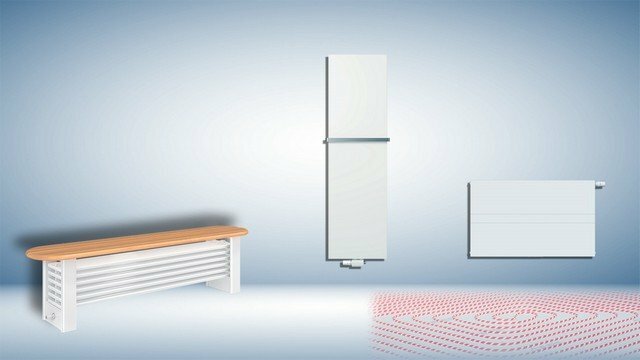 Bosch Hydronic Heating Boilers use condensing technology to recover waste heat usually expelled through the flue system of a non-condensing boiler. 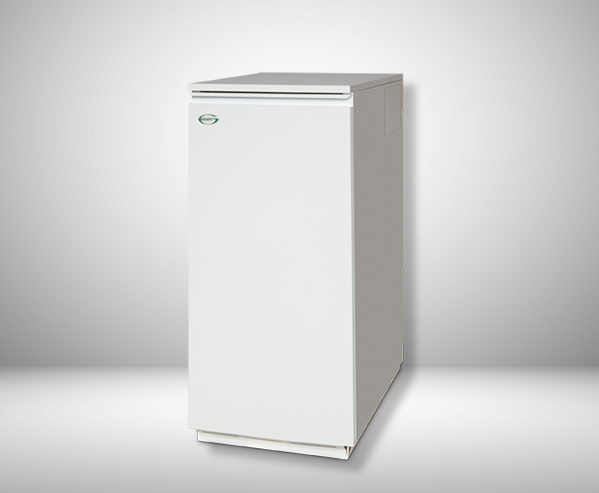 This condensing technology makes the Bosch Condens 5000W range 90%+ energy efficient. 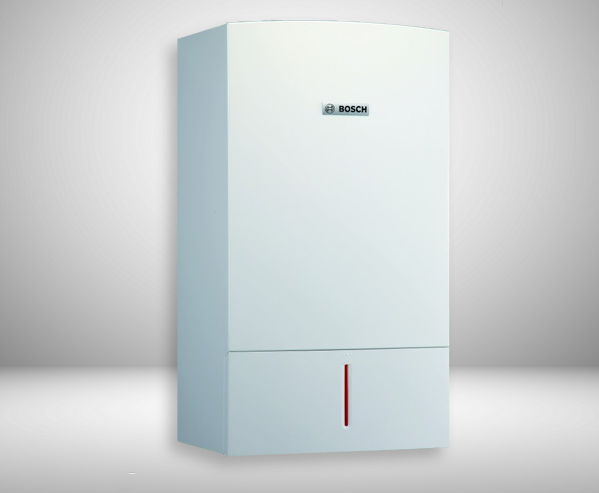 The new Bosch Hydronic Heating Boiler range also includes a 37 kW combi boiler which combines heating and domestic hot water supply in one appliance. Renewable energy options are the future of heating and hot water in your home: clean, green resources that don’t run out and have minimal impact on the environment. 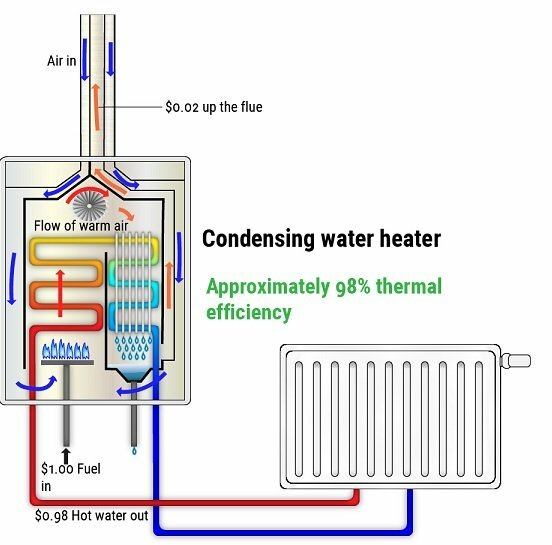 Air to water heat pumps is a perfect example. 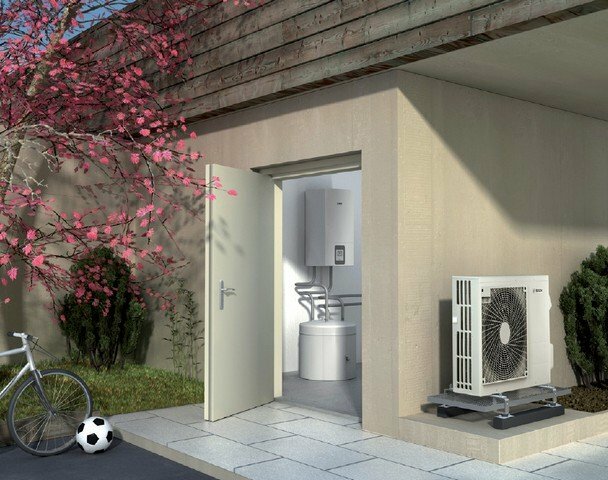 The Bosch air-to-water heat pumps extract energy from outside air in temperatures down to -20°C, so they are ideal for providing low cost home heating throughout the year.